Is someone on your list more of a “Stocking Stumper”? 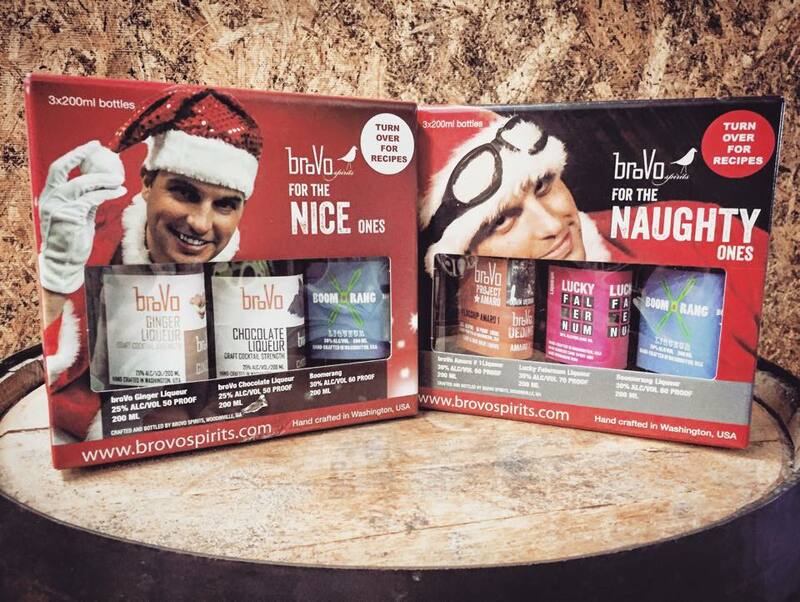 Just in time for the 2015 holiday season, we are happy to introduce our new “Naughty” & “Nice” 3-packs. Cross that hard-to-shop-for person off your list, or just treat yourself to some great tasting liquor! Each gift pack contains three 200mL bottles of our craft liqueurs and amaro. “Nice” packs include Ginger, Chocolate, and Boomerang products, while the “Naughty” side is comprised of Flagship Amaro #1, Lucky Falernum, and Boomerang. ‘Tis the season to toast the season!